Marijampole City Championship 2019 Marijampole r 2019-01-14 2019-04-16 N/RTD Inf. Lithuanian Chess League 2019 various cities t 2019-01-26 Not Subm. N/RTD Inf. Lithuanian Women's Chess League 2019 various cities t 2019-03-30 Not Subm. N/RTD Inf. The Baltic Way 2019 (A) Vilnius s 2019-03-30 2019-04-01 N/RTD Inf. The Baltic Way 2019 (B) Vilnius s 2019-03-30 2019-04-01 N/RTD Inf. The Baltic Way 2019 (C) Vilnius s 2019-03-30 2019-04-01 N/RTD Inf. The Baltic Way 2019 (D) Vilnius s 2019-03-30 2019-04-01 N/RTD Inf. Panevezys ch A 2019 Panevezys r 2019-02-10 Not Subm. N/RTD Inf. Panevezys ch B 2019 Panevezys s 2019-02-10 Not Subm. N/RTD Inf. SUVALKIJA SPRING 2019 A Marijampole s 2019-04-13 2019-04-15 N/RTD Inf. SUVALKIJA SPRING 2019 B Marijampole s 2019-04-13 2019-04-15 N/RTD Inf. SuduvaApril blitz 2019 Marijampole s 2019-04-03 2019-04-16 N/RTD Inf. 1 Stage of Rapid Chess Marathon Kretinga 2019 Kretinga s 2019-04-06 2019-04-07 N/RTD Inf. In memoriam Brigadier general Adolfas Ramanauskas-Vanagas 2019 B Seirijai s 2019-04-13 2019-04-18 N/RTD Inf. In memoriam Brigadier general Adolfas Ramanauskas-Vanagas 2019 A Seirijai s 2019-04-13 2019-04-18 N/RTD Inf. 2019 Lithuanian chess championship U08 Kaunas s 2019-04-05 2019-04-08 N/RTD Inf. Women Championship of Lithuania for visually impaired and blind Kaunas r 2019-04-11 2019-04-15 N/RTD Inf. Radviliskis Rapid Chess Tournament Cup of Canada Radviliskis s 2019-04-27 Not Subm. N/RTD Inf. PESACH 5779 Vilnius s 2019-04-28 Not Subm. N/RTD Inf. Rooks Cup 2019 Klaipeda s 2019-04-07 Not Subm. N/RTD Inf. Partisans Honor, Army and Society Unity Day Rapid Chess Tournament in Kaunas 2019 Kaunas s 2019-05-11 Not Subm. N/RTD Inf. Samogitia's Spring 2019 Plunge s 2019-05-01 Not Subm. N/RTD Inf. SIAULIAI SPRING 2019 Siauliai s 2019-05-11 Not Subm. N/RTD Inf. Suduva May blitz 2019 Marijampole s 2019-05-08 Not Subm. N/RTD Inf. Northern Lithuania 2019 A Birzai s 2019-05-03 Not Subm. N/RTD Inf. Northern Lithuania 2019 B Birzai s 2019-05-03 Not Subm. N/RTD Inf. Northern Lithuania 2019 Blitz Birzai s 2019-05-03 Not Subm. N/RTD Inf. Simnas 2019 Simnas s 2019-05-04 Not Subm. N/RTD Inf. Children's Day Vilnius B Vilnius s 2019-06-02 Not Subm. N/RTD Inf. Children's Day Vilnius A Vilnius s 2019-06-02 Not Subm. N/RTD Inf. Children's Day Kaunas B Kaunas s 2019-06-01 Not Subm. N/RTD Inf. Children's Day Kaunas A Kaunas s 2019-06-01 Not Subm. N/RTD Inf. Sabalunkos 2019-06-12 Sabalunkos s 2019-06-12 Not Subm. N/RTD Inf. Sabalunkos 2019-06-09 Sabalunkos s 2019-06-09 Not Subm. N/RTD Inf. Sabalunkos 2019-06-10 Sabalunkos s 2019-06-10 Not Subm. N/RTD Inf. Sabalunkos 2019-06-11 Sabalunkos s 2019-06-11 Not Subm. N/RTD Inf. Sabalunkos 2019-06-13 Sabalunkos s 2019-06-13 Not Subm. N/RTD Inf. Sabalunkos 2019-06-14 Sabalunkos s 2019-06-14 Not Subm. N/RTD Inf. Sabalunkos 2019-06-15 Sabalunkos s 2019-06-15 Not Subm. N/RTD Inf. Sabalunkos 2019-06-16 Sabalunkos s 2019-06-16 Not Subm. N/RTD Inf. Nemunas cup 2019 Burtimonys s 2019-06-08 Not Subm. N/RTD Inf. 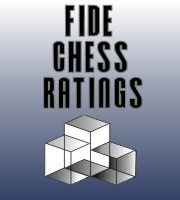 XXXIX International Chess Tournament PLUNGE 2019 BLITZ Plateliai s 2019-07-21 Not Subm. N/RTD Inf. XXXIX International Chess Tournament PLUNGE 2019 B Plateliai s 2019-07-15 Not Subm. N/RTD Inf. XXXIX International Chess Tournament PLUNGE 2019 A Plateliai s 2019-07-15 Not Subm. N/RTD Inf.